The Pioneer Group, incorporating Castle Vale Community Housing, delivers community-driven housing solutions and support services, managing more than 2,400 properties within Castle Vale near Birmingham. 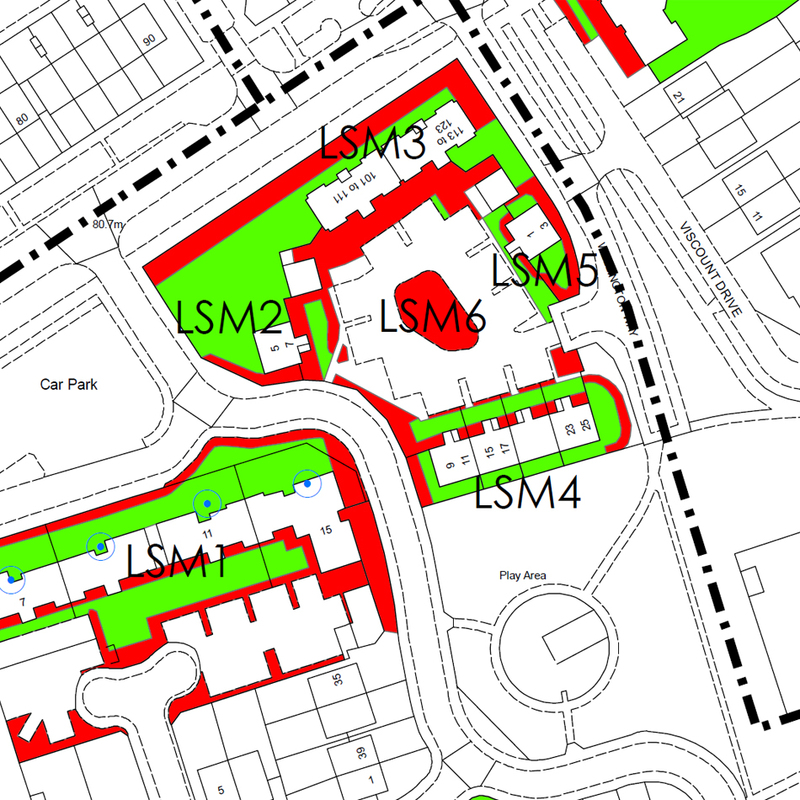 They possessed a series of Grounds Maintenance maps from 2007 which had been manually edited over time leading to a confusing and inaccurate representation of their landscaping responsibilities. Pioneer approached us to advise on how best to recreate new spatially accurate maps of their 14 neighbourhoods, using both their legacy data but also a new up-to-date base map. 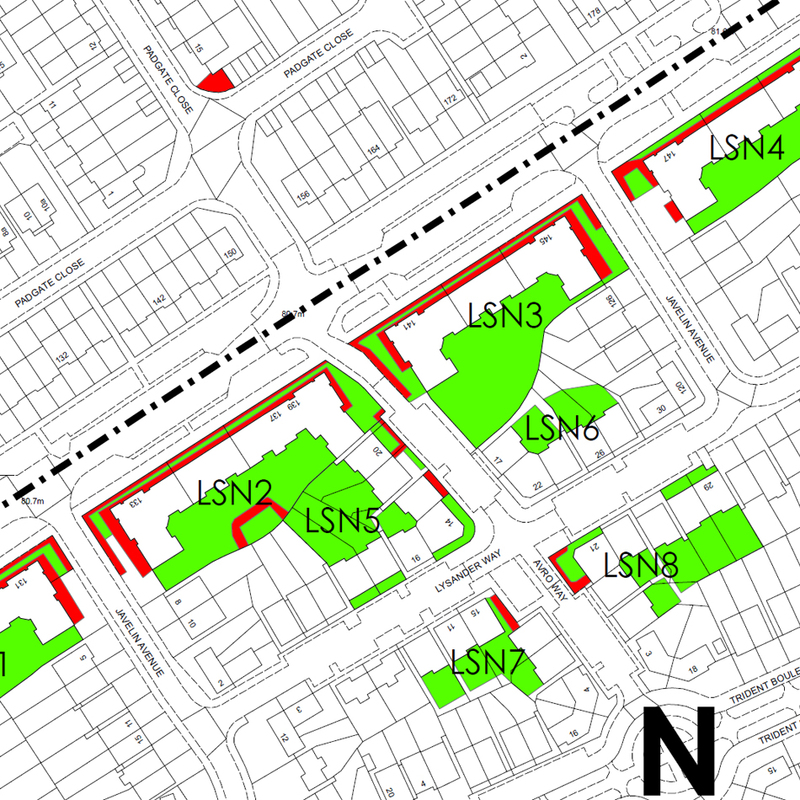 The client marked up maps manually through local knowledge and site visits, and then supplied to us for data capture. We used Ordnance Survey MasterMap as the reference base for the data capture exercise. Our GIS consultants then captured all landscape features against the OS MasterMap and attributed accordingly. We created a new page template incorporating the latest company logos and map key. Lovell Johns supplied data in GIS format for Pioneer Group’s own internal use, and we also provided a separate set of indexed A3 sized maps on PDF. 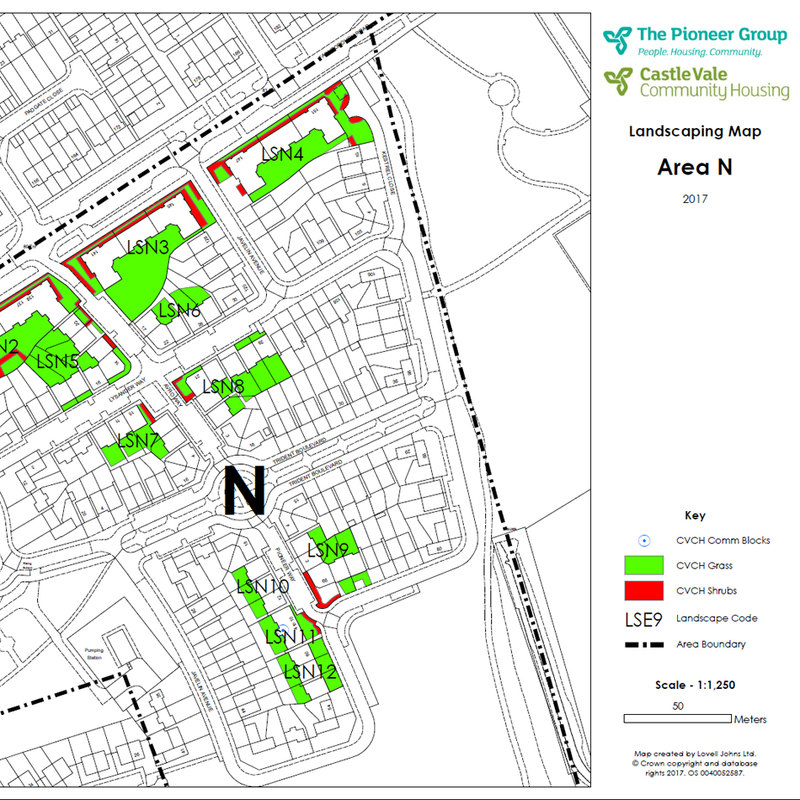 The exercise has provided the Housing Association with a highly accurate and up to date set of Grounds Maintenance maps to assist them with Landscape management.